New York—The humble cassette—that tiny little plastic rectangle containing the homemade mixtapes of yesteryear—is back, joining vinyl as a darling of audiophiles who miss side A and side B. Now, two facilities―one in the American Midwest and the other in western France—have stepped in to meet the need. “It’s a good place to be―there’s plenty of business for both of us,” said Steve Stepp, who founded the National Audio Company in Springfield, Missouri with his father 50 years ago. 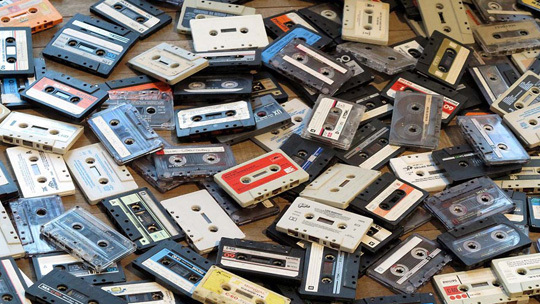 Since November, Mulann―a small French company near Mont Saint Michel―has also rebooted production, the country’s first manufacturing of music-grade tape in two decades. The 27-year-old admits he didn’t know in his youth the joys―and pains―of the Walkman personal tape player, or the delicate strip of tape that tangles up and must be rewound with, say, a pen. Or a finger. Urban Outfitters―an American clothing brand catering to hipster types that also sells electronics―on its site spells out the mixtape process. It’s nothing compared to 1994 sales of 246 million cassette albums, but significant considering the format was all but dead by the mid 2000s.